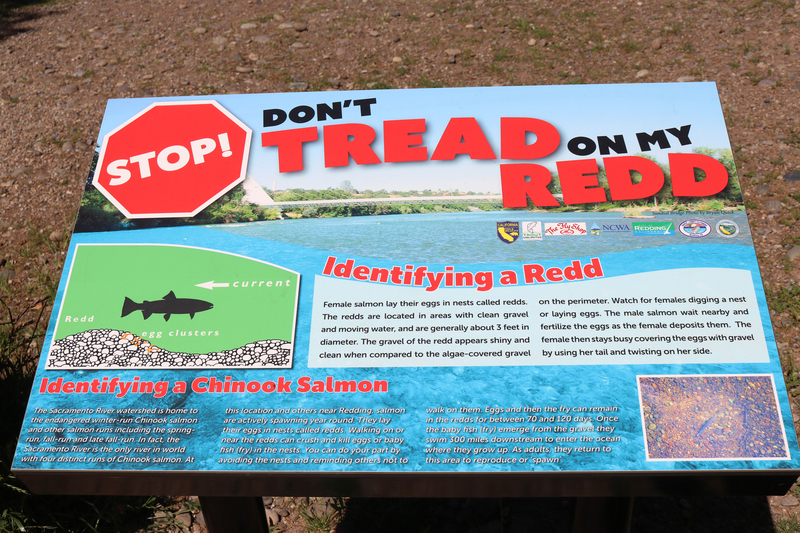 This spring, a diverse group of partners worked together to install informative signs at popular access points along the Sacramento River in Redding to inform those entering the river that stepping on redds can destroy salmon eggs. This is of particular concern in Redding as it is the spawning area of the endangered winter-run Chinook salmon. 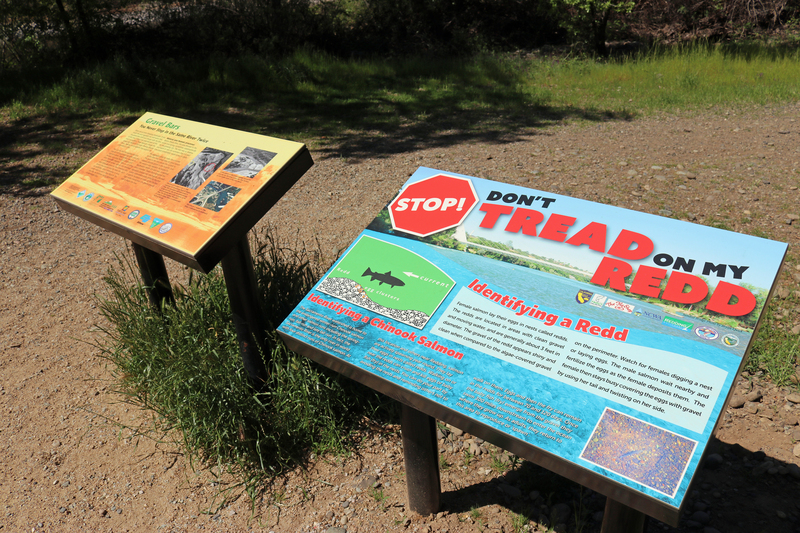 The City of Redding, NCWA, California Department of Fish and Wildlife, California Department of Water Resources, The Fly Shop, Shasta-Trinity Fly Fishers, and Trout Unlimited, collaborated to develop the language and design for the signs. NCWA funded the printing of the signs and the California Department of Fish and Wildlife purchased the steel and installed them. Additional sites for new signs have been identified and additional signs will be installed in the Redding area as funding becomes available.